As you can tell by name of this blog, my book basket it truly never ending. 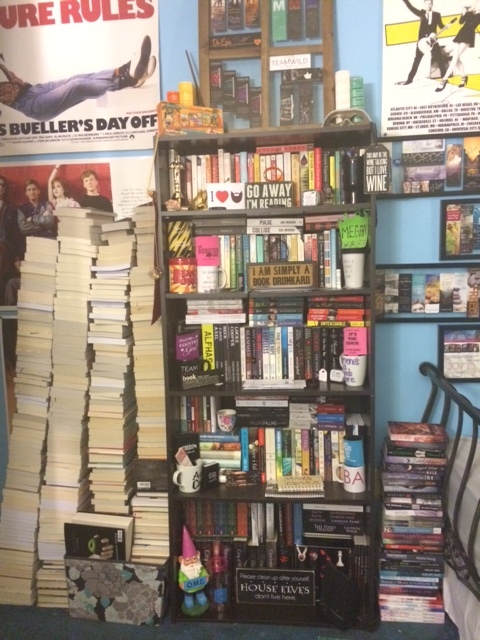 Books are constantly going in and out of that thing, so it can be hard to keep track of what’s actually in my never ending book basket. Thus in my valiant effort to keep track of all the books I have to read that currently reside in that poor basket, I am using this page of my blog to keep track of all the fabulous books the basket contains. This list will be changing quite frequently, as I do plan to read as many of them as I can. Let’s also be honest with the fact that more books will be added to this basket quite frequently since I tend to buy books as if they’re never going to be printed again. You will also note that the list of books is not numbered because I refuse to acknowledge how many books are in there. This is what denial looks like people. Sincerely Carter by Whitney G.
ps. If there is a book currently in my basket that you think I should dig out and read sooner rather than later, please feel free to let me know. I gladly accept any and all suggestions!